Our shuttle will take you directly from Prague to Munich. This option is a subject to availability depending on the schedule for a particular date though. In this case the shuttle goes from Prague to Munich via Cesky Krumlov (a historical town in the south of Czech republic). That way you will be able to make it from Prague to Munich in one day, but you will not miss the second most visited city of Czech Republic. You can enjoy a few hours of wandering through the city on your own, or you can even order a personal guided tour, which will give you insight into both history of the town and current events in the region. It is up to you which option you choose. You can inform us about your choice in the notes field in the booking form. We provide a door-to-door service from Prague to Munich, which means that we will pick you up directly at your hotel and take you to the other hotel or any other desired destination. To book the transfer from Prague to Munich or just to check the availability please use the booking form, where you can fill in all the necessary information we need to know (such as number of passengers, date of your trip, preferred time of arrival etc.). When you order a private transportation from Prague to Munich, we guarantee that no passengers other than from your group will be sharing the car with you. To order a private shuttle from Prague to Munich, please use the booking form and inform us about you wanting a private ride using the "wishes, notes etc." field. 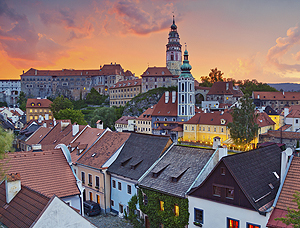 On the way from Prague to Munich it is possible to see for example: Cesky Krumlov, Linz, Salzburg, Hallstatt. Easy and comfortable way of getting from Prague to Munich. Faster than train from Prague to Munich or bus from Prague to Munich. Cheaper than private taxi from Prague to Munich.